Luscious lavender is a beautiful treat for the senses! 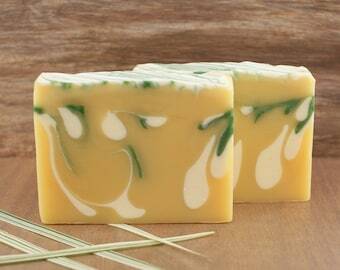 Its floral-herbal tones are known to create a relaxing sensation, which is perfect at shower and bath time. Lavender essential oil is a favorite of Mother Nature who knows it creates a sense of well-being and calmness when sniffed. In this soap, oatmeal powder is added for its ability to soothe the skin; the fineness of the powder assures it is not scratchy. Lavender tranquility twisted with skin-soothing oatmeal powder -- no wonder Lavender Oatmeal is one of the most popular soap types! This bar has a simple, minimalist look. And it's the bubbly lather that you will love...very luxurious. This soap is for him or her and is suitable for all ages. 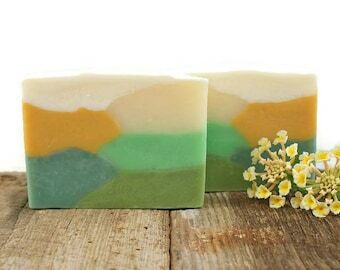 My handmade soaps are carefully made with skin loving oils which are combined chemically in the soap making process. The by-product is natural glycerin. 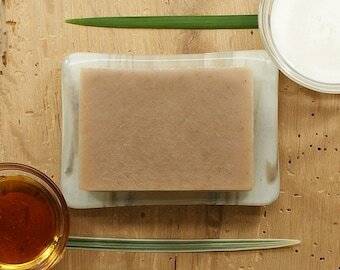 You probably already know that glycerin is great at holding moisture close to the skin....to keep it from drying out. 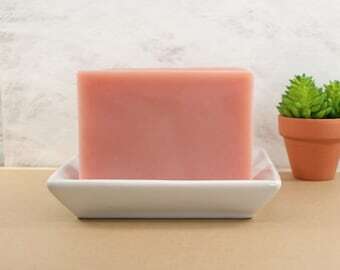 Listing is for one bar of vegan, cold processed soap. Gift Sets with Lavender Soap are available also. I have had this bar before and really love it. 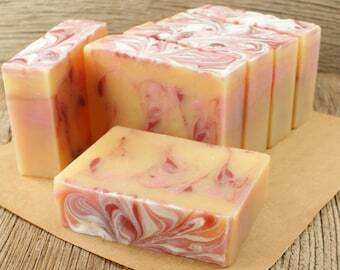 your soaps are a pleasure to use and love them for gifts. These were all for me. Thank you, jackie. 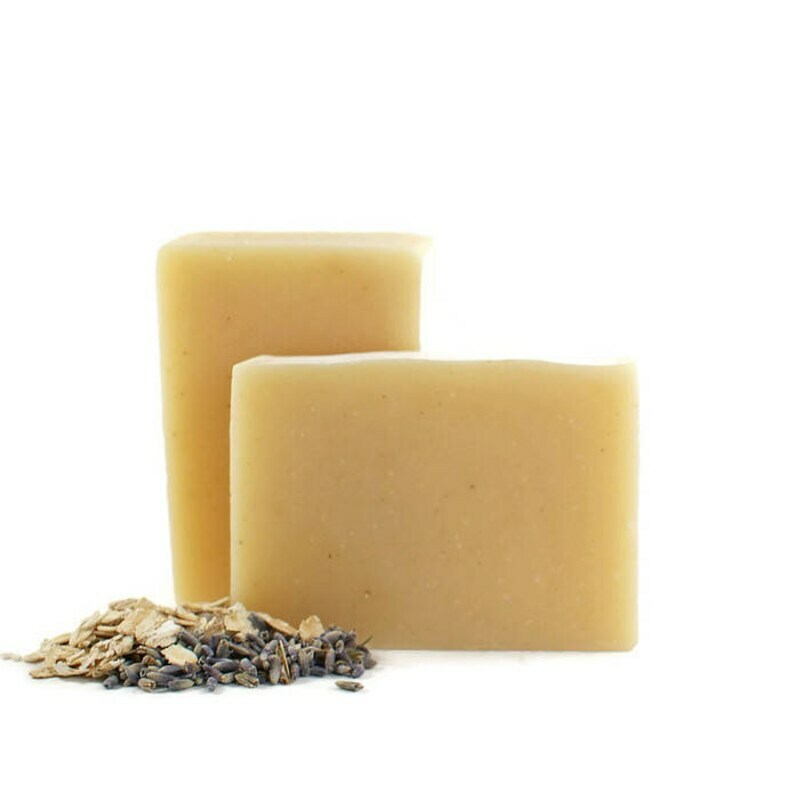 The Lavender Oatmeal Soap is wonderful, not only does it provide the benefits of a soothing lavender fragrance, that is so often used in aromatherapy, but it has the added benefit of oatmeal which is wonderful for your skin. Another awesome find at AmeliaBathandBody! 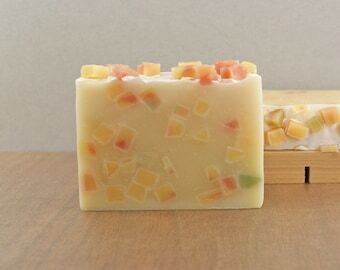 Gentle soap with a lovely fragrance! Not overpowering of lavender - just nice! Always happy to do custom work...provided I know how to make what you would like and have the necessary ingredients. Please know it takes extra time to create a custom order. If it is a large order, several weeks might be needed. No custom work is done between October and December however, due to scheduled local shows and the holidays. 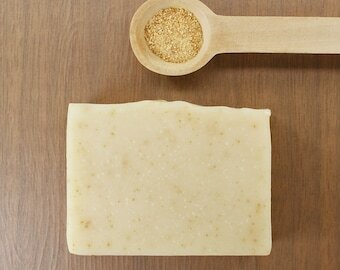 With handmade bath and body products, there is the unfortunate problem of possible tainting or contamination. For that reason, I do not accept returns. But please contact me with any problems you may have! If your item arrived damaged, I am happy to work with you and replace it. 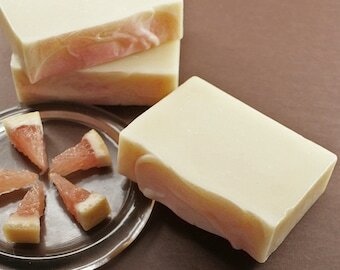 If you do not like the scent of a soap or other product ordered however, I am sorry this is not a reason for exchange. Wouldn't it be great if one could know the scent of an item ordered from the computer, before ordering?